Click on the news titles to visit the articles. HELP ENLIGHTEN YOUR FELLOWS. BE SURE TO PASS THIS ON. SURVIVAL DEPENDS ON IT. JairBolsonaro: get accustomed to this guy’s face. He may be around for a long time. Brazil’s shift to the right bodes ill for all nations leaning left, especially Venezuela. Brazil’s presidential run-off election Sunday confirmed what had been anticipated in the first round vote earlier this month and by subsequent electoral polls, with the election of the fascistic reserve Army captain and seven-term federal representative for the state of Rio de Janeiro, Jair Bolsonaro, as president. Bolsonaro won 58 million votes, or 55 percent of the total, against 47 million, or 45 percent, for Workers Party (PT) candidate Fernando Haddad. The run-off also saw a repeat of the record abstention and spoiled ballots of the first round, with over 40 million out of a total of 146 million adults able to vote choosing not to cast a ballot for either candidate. The election of Bolsonaro, an open defender of the US-backed, 21-year military dictatorship that ruled Brazil until 1985, and of its murderous and barbaric repression, marks a thorough-going breakdown of the regime of civilian bourgeois democratic rule that emerged in Brazil after the military ceded power. It also represents a shipwreck for all of the parties that previously held power, first and foremost the PT, which served as the preferred instrument of rule for the Brazilian bourgeoisie for 13 years. Also decimated was the party that emerged out of the former legal opposition to the dictatorship, the Brazilian Democratic Movement (MDB), and the country’s former main right-wing party, the Brazilian Social Democracy Party (PSDB). The first round had already seen the Congressional elections cut both the PSDB’s and MDB’s caucuses in half, and a drop of 20 percent in the number of seats held by the PT. The election marks widespread opposition to the whole political setup dominated by the PT and the former right-wing opposition, which is seen by wide layers of Brazilians as responsible for the worst economic crisis in the country’s history—with an 8 percent GDP drop between 2015 and 2016 and the slowest recovery ever since. The unemployment rate has remained stagnant at 12 percent—with some 13 million jobless—and extreme poverty and infant mortality are on the rise. In more ways than one the election of Bolsonaro resembles that of Trump, a product of the abject treason of the bourgeois pseudo-left parties. In Brazil Lula’s PT, in America Obama’s Democrats. This outcome will go on repeating itself as long as no real left emerges from the neoliberal debris. Moreover, the PT and the other two main bourgeois parties are seen as co-responsible for wholesale corruption, with the MDB swinging between the other two to give them support for almost 30 years. Since the PSDB first came to the presidency in 1994, being succeeded by the PT from 2002 for four terms, corruption schemes have spanned from vote-buying in Congress by the PT and PSDB, to fraudulent privatizations under the PSDB, to bribes and kickbacks for public contracts involving construction, industrial and energy monopolies under the rule of the PT—the central scheme uncovered by the Lava-jato (Carwash) investigation, whose tentacles have spread as far as the United States, Africa and virtually the whole of the rest of Latin America. Against this backdrop, Bolsonaro was able, with populist criticisms of corruption and cronyism, to pose as the sole opposition to the anti-working class policies of these three parties. With a candidacy backed by an array of senior military officers and gradually embraced by big business, Bolsonaro’s election will mark the first time since 1985 that the reviled Brazilian military, formerly completely demoralized by the exposure and abject failure of its brutal repression and class war policies, will play a dominant role in government. Following first-round trends, the electoral breakdown showed the PT being roundly defeated in virtually all of its former strongholds, where it first gained strength in the 1980s and from which it finally rose to national power. This was most notable in the so-called ABC region of industrial cities surrounding São Paulo, as well as the so-called “red belt” of working class areas in the city’s outskirts. Traditionally left-wing states that used to give the PT electoral victories long before it took control of the national government, such as Rio Grande do Sul and Rio de Janeiro, gave Bolsonaro stunning victories of over 63 percent. The city of São Bernardo in the ABC region, where the PT was born and where its former president, Luiz Inácio Lula da Silva—now jailed on charges related to the Carwash probe—led metalworkers in a series of major strikes beginning in 1978, leading to the end of the dictatorship, gave Bolsonaro 60 percent of the vote, while other ABC cities gave him up to 75 percent. The PT was only able to retain support in the country’s impoverished and neglected northeast, a region it first penetrated in Lula’s presidential victory of 2002 and where it has been associated with modest, IMF-approved poverty reduction schemes. The election of Bolsonaro clearly signals a sharp turn to the right by the Brazilian bourgeoisie in confronting the deepest economic crisis in the country’s history and steadily rising class tensions. His path to power was paved by the PT, which over its 13 years of rule allied itself with Bolsonaro and a whole series of right-wing politicians in congress to impose economic policies demanded by the IMF that placed the full burden of the country’s economic crisis onto the backs of the working class. Many had pointed to the jailing of Lula—which barred him from running again for the presidency—as the principal cause for the PT’s defeat. 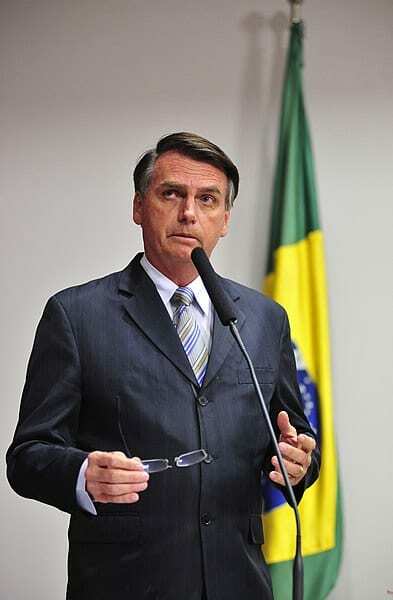 Polls, however, have indicated that a majority of the Brazilian population believes that he should be jailed, and the PT itself dropped his image from the campaign in the second round, while changing their party’s trademark color red to the same green and yellow of the Brazilian flag used by Bolsonaro. The reality is that the election represented a stunning rejection of the PT by masses of Brazilian workers, many of whom voted for Bolsonaro and even more of whom refused to vote for anyone out of disgust for the entire political setup. The PT was itself unable and unwilling to make any class appeal to workers to oppose the right-wing threat posed by Bolsonaro’s coming to power. No attempt was made to bring workers out into the streets in advance of the second-round vote, and if there had been it is unlikely that many would have answered a call from the PT. Instead, the party pitched its appeal to a broad “democratic front,” attempting to pick up the support from the discredited parties of the bourgeoisie, which themselves had lost whatever small popular base that they once had. The entire pseudo left in Brazil attempted to give this bankrupt and reactionary policy a “left” façade, portraying a vote for Haddad as the only means of stopping the advent of fascism in Brazil. This attempt to corral workers back under the wing of the party that had betrayed them over the course of decades proved itself an abject failure. The reality is that the right-wing social and economic policies that Bolsonaro will now attempt to introduce would have been adopted by an incoming PT government as well. And his move to bring the military into the government also would have been seen under a PT government, with Haddad making one of his first visits after the first-round vote to the chief of staff of the Brazilian armed forces for a political discussion. 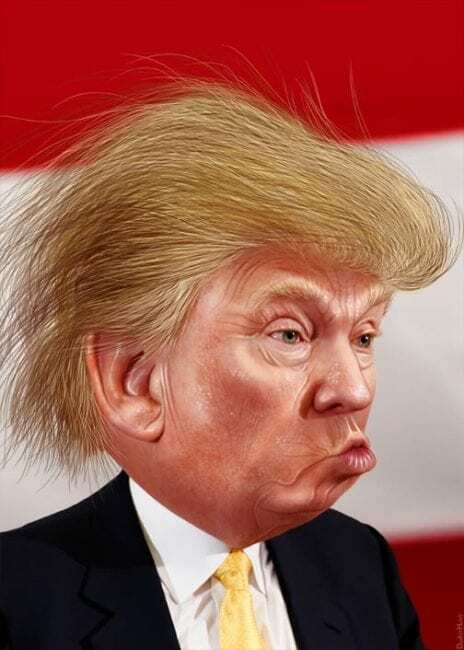 It will take far more than an election to impose a fascist dictatorship over a country of some 210 million people. Great class battles lie ahead. The decisive question confronting the working class is to assimilate the lessons of the decades of betrayals at the hands of the PT, its affiliated union confederation, the CUT, and the coterie of pseudo-left groups that orbit around them. A new revolutionary movement must be built, based on the program of socialist internationalism and the fight to link up the struggles of Brazilian workers with those of the working class throughout the Americas. Miguel Andrade , an expert in Latin American affairs, writes for wsws.org, a Marxian publication. Comment here or on our Facebook Group page. 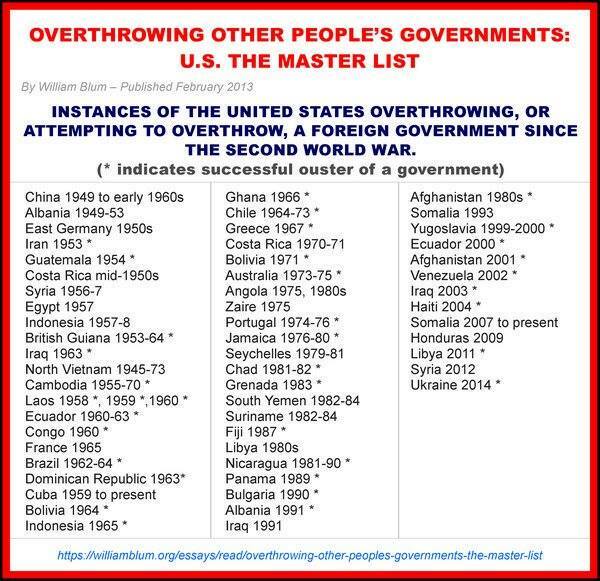 While our media prostitutes, many Hollywood celebs, and politicians and opinion shapers make so much noise about the still to be demonstrated damage done by the Russkies to our nonexistent democracy, this is what the sanctimonious US government has done overseas just since the close of World War 2. And this is what we know about. Many other misdeeds are yet to be revealed or documented. Make sure many more people see this. It's literally a matter of life an death. Imperial lies kill! Share widely. Welcome to ‘Brakraine of South America’. Gives me comfort to know there are morons outside North America. Indeed. And Bolsonaro’s victory is not just a product of the overwhelming rightwing control of media, at home and abroad in Brazil, but the betrayal of the “Workers Party” misled by Lula—Brazil’s Obama. Constant attacks on our site put us deep in the red. Please help us. Did you join us yet? Belongs on every thinking person’s shelf! MUST READ FOR EVERY AMERICAN ! Just published! The definitive story of US-Russia relations spanning more than a century of America’s efforts to eliminate Russia as an obstacle to its global supremacy. The ongoing saga of encirclement, proxy wars, demonization, coups, invasions, and accelerating drift toward the abyss of nuclear confrontation. Criminal elites created it. But YOUR willful ignorance perpetuates it. Support it so we may all survive! Sweet: Buy one of OUR buttons and help us stay afloat. This is what the plutocracy that Kissinger serves really thinks of the military. All that praise and worshipping on the media is just a thick curtain of hypocrisy to maintain morale among the deceived imperial troopers. Nuestra nueva sección en castellano. Haga click en la imagen. What is 30 cents a day for vital information? THE GREANVILLE POST contains copyrighted material the use of which has not always been specifically authorized by the copyright owner. We are making such material available to our readers under the provisions of “fair use” in an effort to advance a better understanding of political, economic and social issues, and the furtherance of peace and social justice, the defence of our planetary ecosystems, and the prevention and eventual elimination of human abuse, exploitation,.and cruelty toward any and all non-human species The material on this site is distributed without profit to those who have expressed a prior interest in receiving it for research and educational purposes. If you wish to use copyrighted material for purposes other than “fair use” you must request permission from the copyright owner. That’s easy. Just click on the links below. If you don’t, who will? Don't Miss Our Special Updates! Never miss any of our vital reports, comments and analyses. They are all FREE. No, I don't want to.